I have a confession: I am an online shopaholic. With credit card information saved on my Amazon account, it's really easy for me to make an online transaction. An active member of RedFlagDeals, I am always lurking on the forums, sometimes posting deals that I find enticing. At my previous work, I had SO MANY Amazon packages delivered to me. When it comes to digital media, I am a bit of a hoarder, and I used to be the guy in university residence with access to music, movies, and tv shows. My steam and console game library continues to grow, with no time for me to actually play any games. With all that being said, I am going to start writing about the things that I buy, whether impulsively or purposefully. For me, the concept of ownership has changed drastically. I don't buy things for the sake of owning, but rather just to try it out for a while. Some things do not lose value lose over time (e.g. camera lenses), which I can often sell for the same price that I buy at. However, other things (cars, for example), depreciate very quickly within the first few months of purchase. One prime example of this is phones. Since leaving BlackBerry Bold 9700, I have gone through many phones for personal and work use. You will notice a trend of moving away from Korean/Japanese manufacturer to Chinese manufacturers for the last couple of personal devices. Chinese smartphone manufacturing has closed the technological gap over the past few years with the traditional industry leaders. Dual SIM devices, offered by ZTE and OnePlus by default, have been tremendously helpful at my previous job and once at a border crossing. Sure, cameras in these phones may have left something to be desired, but at a fractional cost of other flagship devices, I am not complaining. Unless there is a technological breakthrough this year, I will hold onto my OnePlus. It's by far the fastest phone that I used. Although this is the first personal device without a MicroSD slot, I can leave without it since I no longer carry my entire MP3 library with me everywhere I go. The only complaint that I might have is OnePlus' aggressive release calendar. 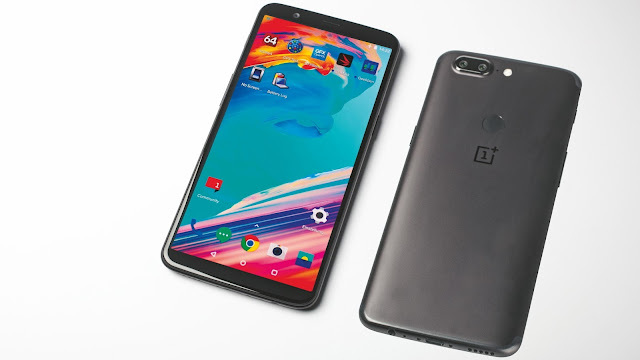 I am already hearing rumors of OnePlus 6 being released in Q2 of 2018. I will keep my eye out for more details as this year unfolds. The Pentax KP eBook is now available.